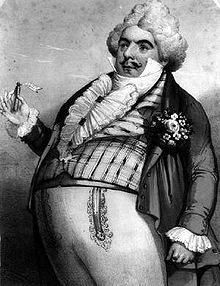 Luigi Lablache was the first Don Pasquale. Don Pasquale is an Italian comic opera in three acts. Gaetano Donizetti wrote the music. Giovanni Ruffini wrote the libretto (story and words). Don Pasquale was the 64th of the 66 operas Donizetti wrote. It is about an old bachelor who wants to marry. The opera was first performed on January 3, 1843 at the Comédie-Italienne in Paris, France. It was first performed in Italy at La Scala in Milan on April 17, 1843. In London, England, it was first performed on June 29, 1843, and in the United States on January 7, 1845 in New Orleans. Wikimedia Commons has media related to Don Pasquale. This page was last changed on 15 October 2018, at 04:08.